Time for a proper announcement! Over the next few days we'll be gradually adding some more series. This should make some games easier to find and will also reduce the size of some of the longest pages. So if you can't find a game all of a sudden, chances are it has found a new home. The 'Other' and 'Super Mario' pages will be the only ones affected at this stage. We are also preparing for *topseekritbigannouncement* in the next week or two so stay tuned for more! So far only Mario Kart has been added. I'll put a list in the opening post of what's been added. Reading is hard, you know? OH YEAH! What about deltarune, undertale, game consoles, and Splatoon? If you get what I mean. So that you first click on Super Mario, and then you click on the sub-series (in some way). Makes sense I think. Yeah that's been suggested before but it's not possible with the ways things are set up at the moment. That might change in the future, it depends where things go. I wonder if there’s a way we could finally get Legend of Zelda in its correct alphabetical place on the side bar while you’re at it? Edit: Wow, I didn’t realize even Kingdom Hearts wasn’t in its own category. I guess a lack of sheets was the reason? Make sure to update when you guys are completely finished adding new series to the sidebar - I'll update my stuff to account for the new series once it's done. Doesn't make much sense for me to jump the gun & have to change my stuff more than once. Also, does Splatoon not have enough sheets to justify its own section? Because I can work on that if need be. SPLATOON! 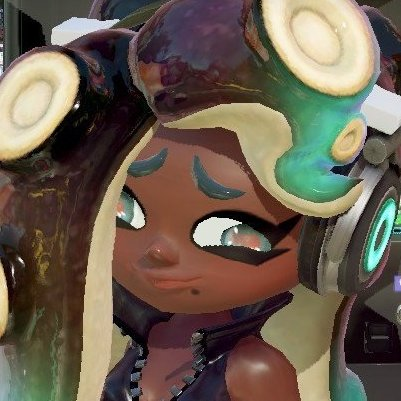 I should get back to working on some other arrangements when I have more time, but I would be open to creating some splatoon sheets in the future. If it's ok, I would like to call one ahead of time that i want to take on. It only has 5 sheets right now. As notable as Splatoon is, creating a section for it is probably not realistic for the time being.